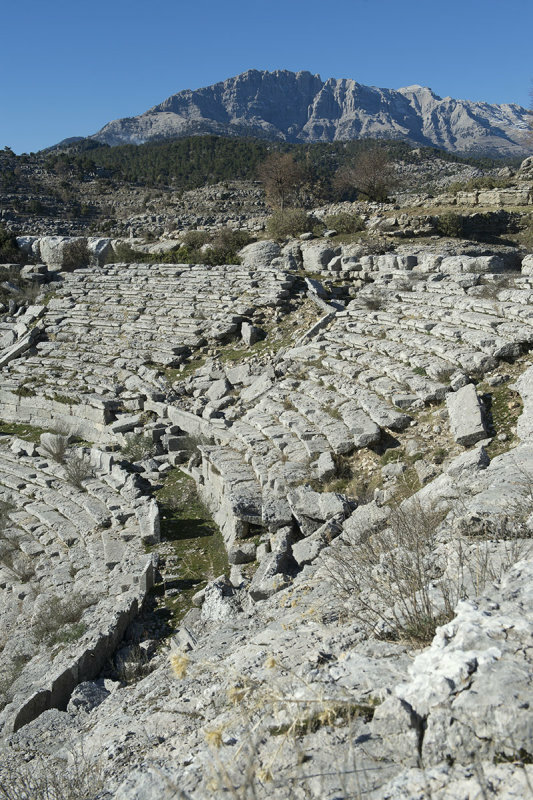 Most of the cavea (seating section) of the theater was cut out in the mountain slope; only the retaining walls of its west and east ends were constructed upon their own foundations. On the picture: the highest section of the cavea (called ‘summa cavea’), which was usually open to women and children. It was separated from the lower section by a semi-circulair walkway. Source: Personal visits to Selge/Altınkaya (1992 – 2004) & Wikipedia .